Back in 1989, the world bore witness to the Tiananmen Square protests which saw hundreds of unarmed civilians, particularly students, slaughtered by the Chinese Army and armed police. Those students simply wanted democracy. However, one picture captured the spirit of the Tiananmen Square protests better than any other – the photo of ‘Tank Man’. 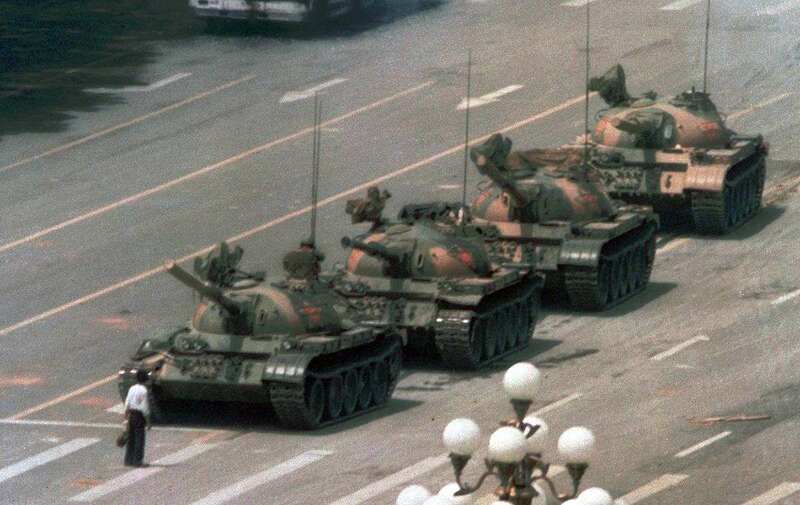 An unknown protester, standing in front of a line of tanks, clutching a shopping bag, and not allowing them to pass. Now, back to 2016. In what can only be described as one of the darkest weeks in U.S. history, this image of a woman has got people talking – she’s standing tall, peacefully, and untouched, facing a swarm of armed police in riot gear – arm pads, shin pads, bulletproof vests – as two approach her, reports Mashable. 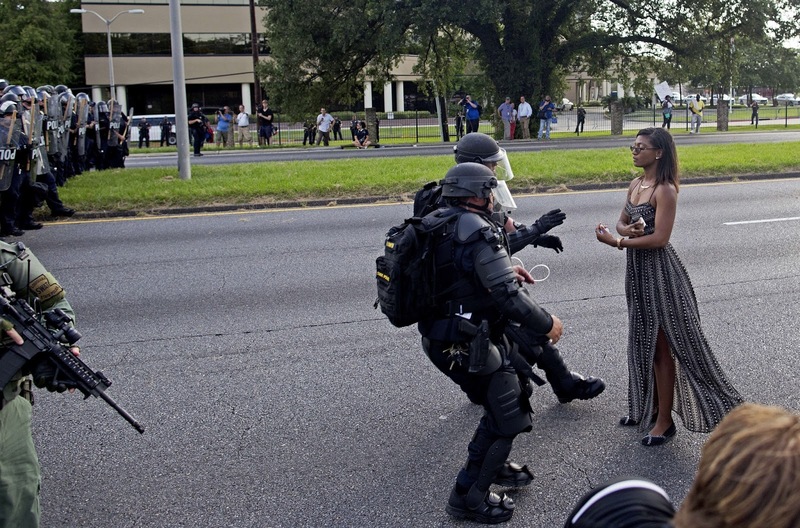 What is perhaps most startling about this powerful image is the juxtaposition between the woman and the police. She is stood still, peaceful, wearing a summer dress, seemingly harmless in a way, while they look aggressive, anxious, trigger happy, and dangerous. 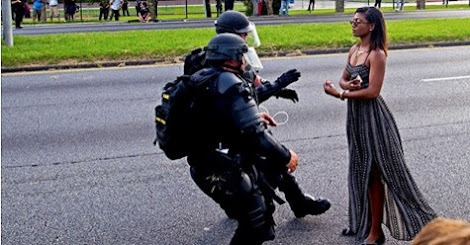 The photo was taken outside of Baton Rouge Police Headquarters, and it is thought that the woman was refusing to leave the motorway where she was standing. She was later arrested and spent 24 hours in jail for her ‘crime’. Just last week Alton Sterling was shot dead by police in Baton Rouge. Not too long after, Philandro Castile was shot dead when he reached into his pocket to retrieve his driving license after being pulled over for a broken tail light. As tensions rose, urgent Black Lives Matter demonstrations were held across the width and breadth of the United States, where infamously in Dallas, former soldier, Micah Johnson, shot dead five police officers in a sniper attack. The powerful image of the protester in Baton Rouge has since gone viral across Facebook, Twitter, Reddit, and many more – with a lot of people claiming the police are simply wearing far too much armour and are too heavily armed. Following the shocking events which scarred last week, protests are currently being held, not only across the United States, but across the globe.